Netflix is all set to give you an unforgettable experience at the biggest pop culture event in the country by bringing its series' immersive worlds to life—its stars included—at the AsiaPOP Comicon Manila 2017 (APCC Manila), happening this August 25 to 27 at the SMX Convention Center in Pasay City. Netflix is giving consumers the power to watch what they want, when they want, and delivering the joys of discovering the content they’d never expect. This year, the world's leading Internet television network partnered with APCC Manila to bring an opportunity for its fans in the region to discover new shows, through interactive displays and the much-awaited celebrity appearance that includes the cast of Stranger Things - Noah Schnapp, Joe Keery, Dacre Montgomery and Sadie Sink, who will fly to Manila to make it a memorable APCC Manila experience! Noah Schnapp plays central character Will Byers in Stranger Things and set to play an even more central role in the series’ plot. Schnapp, a rising star in his own right, also provided the voice to classic klutz Charlie Brown in the Peanuts movie, and appeared in the Cold War thriller Bridge of Spies, indie film We Only Know So Much, and Brent Green feature Untitled Loveless Fable. The fans of the series will also undoubtedly be familiar with Joe Keery, who plays the cocky but troubled teenager Steve Harrington. Keery has made appearances in other shows such as Empire and Chicago Fire, indie film Henry Gamble’s Birthday Party, as well as vocals and guitar for Chicago-based band Post Animal. Dacre Montgomery may be new to the Stranger Things roster, his character Billy only appearing in the series’ second season, but he has made his mark as Jason Scott a.k.a. Red Ranger in the recent Power Rangers movie, as well as comedy flick A Few Less Men, and thriller Safe Neighborhood. For child star Sadie Sink, her character is another new addition to the Stranger Things cast, playing the role of Max, Billy’s stepsister. In the past, she has appeared on series such as the drama American Odyssey, and guest appearances on Unbreakable Kimmy Schmidt, Blue Bloods, and The Americans. “We are excited to continue our partnership with Netflix this year by bringing Filipino pop culture fans an immersive experience including the appearance of multiple cast from Stranger Things, speaking panels, interactive and screening sessions at such a magnitude for the first time this year in the region,”said Abdulla Mahmood, Director Marketing and International Business Development, Al Ahli Holding Group. Netflix is bringing the show worlds to life with the immersive and interactive zones, allowing fans to discover and experience their beloved shows. 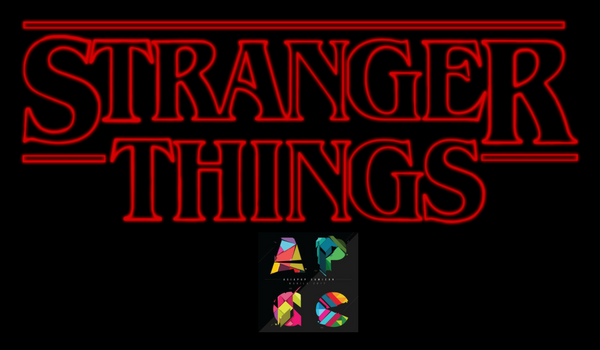 • Stranger Things: New to Mysterious Circumstance? Enjoy recreation of key sets (Byers' Living Room, Hawkins Lab, and Upside Down) with real set props and photo opportunity. • Orange is The New Black: Transform into your favorite characters with eyeliner tutorials, DIY ducttape slippers, and photo opportunities to create your own Life of crime mugshots. • The Death Note VR Experience: Your chance to come face to face with the menacing death god Ryuk like never before! In this immersive, interactive experience, you'll wield the Death Note as you choose between life and death and face the consequences of being a death god. Life. Death. The choice is yours. • Riverdale: Love a good whodunnit? If you found yourself bingeing to solve the mysteries led by stellar teen casts, then Riverdale may just be your favorite new show. Recreate Pop's diner with photo opportunities to pose with your favorite Riverdale characters, enjoy a milkshake and check your Riverdale IQ with our trivia Jukebox. • Marvel’s The Defenders: Bring the Marvel Universe to Life by experiencing the recreation of The Defenders New York street set. Step into Josie's Hell's Kitchen, The Minimart, Chinatown Gift Shop or Pop's Barber Shop and be ready for another surprise. Note - A Netflix Original Film on the same day (6pm to 8pm).